Cold weather delayed the blooming of the cherry blossoms, disappointing the tourists who visited Washington DC over the past two weeks. 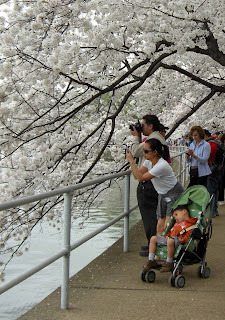 Now, finally, the Tidal Basin and the Potomac are lined with a haze of palest pink. The youngest visitors are often blase, cranky or bored. 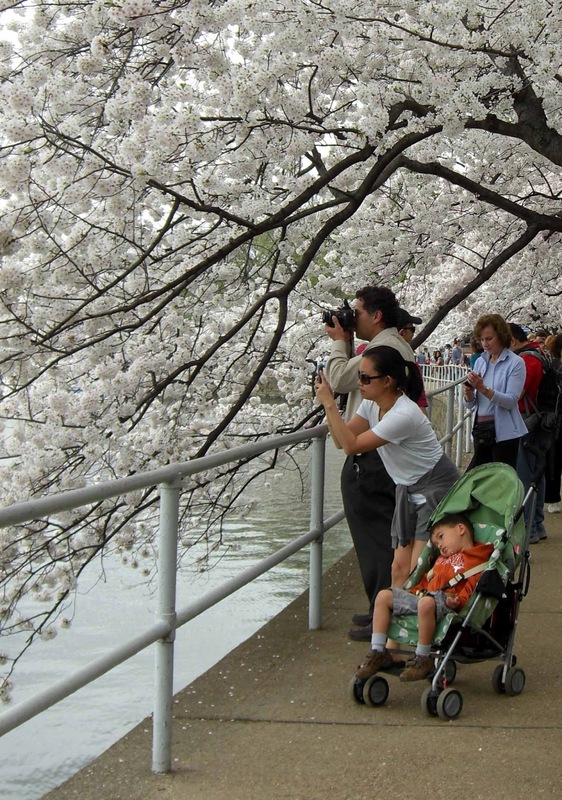 Will they remember seeing the cherry blossoms or does it all register only as a sea of knees, backpacks and fellow tots strapped into strollers? Will the perfect-view photos taken by their parents replace their fleeting memories of the jostling, moseying crowds? The cherries are timeless and perfect but it's moments like this one here that I like the best.